I have my favourite eating spots in Paris, but I always like to try somewhere new when I visit. I spotted this latest find on the lovely Lucy’s instagram (check it out, and her gorgeous blog), and so made sure I headed there on my most recent trip over the Channel in the Summer. Pink Mamma is the new baby from the Big Mamma group. It opened earlier this Summer in the Pigalle district of Paris, and like all other restaurants in the group it serves up some decent Italian cuisine. Pink Mamma specialises in the traditional Fiorentina, a Tuscan specialty which is cooked on a 3m-long grill with a special wood mix, giving the meat a very beautiful, special taste. However, the large trattoria also serves delicious fresh dishes such as fish, salads, pastas and my favourite, Burrata (they even have a section on their main menu dedicated to the glorious cheese). We weren't feeling very meaty when we visited in July, so we opted for one of the Burrata dishes - with watermelon and tomatoes, and two pasta dishes to share. Portions are not your typical small Parisien ones, and they do not scrimp on the flavourings - just look at all that truffle! Being a design-building-obsessed lady, this restaurant was not only a delight to eat at, but also a interior dream. The restaurant is housed in a 4-floored building (made of pink tiles I have to add), and each level has been given its own identity. The decor across each floor is stunning. This is one place I will definitely be visiting when I'm back in Paris again. I try and buy clothing that I can wear all year round, and this whole outfit contains pieces that I know I won't be putting into storage anytime soon. The clogs will be paired with thick ankle socks, and these floral Topshop trousers will look great with a chunky cropped knit and ankle boots. It’s here! 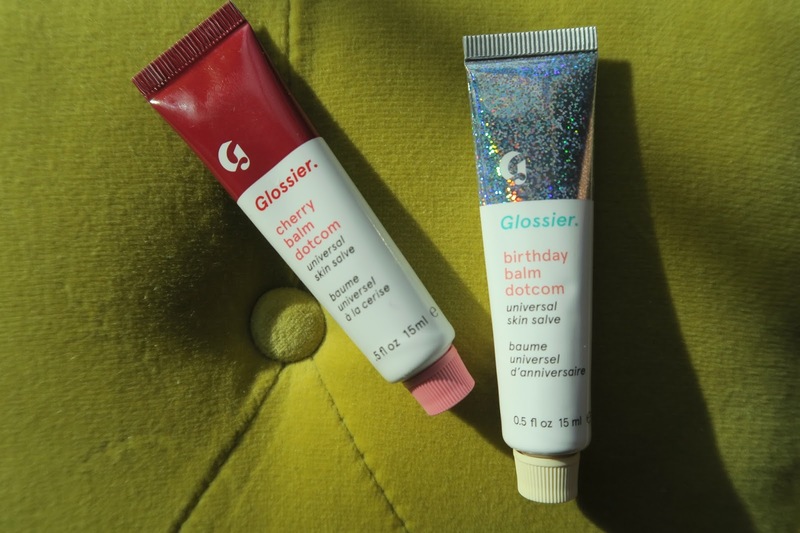 Glossier has finally launched in the UK, and I’m going to put my hand up high and admit that at 7am on launch day, I was refreshing their website until it finally allowed me to make a purchase (or two!). Maybe you don’t know what Glossier is, but that’s fine as I’m here to give you the lowdown on the brand. 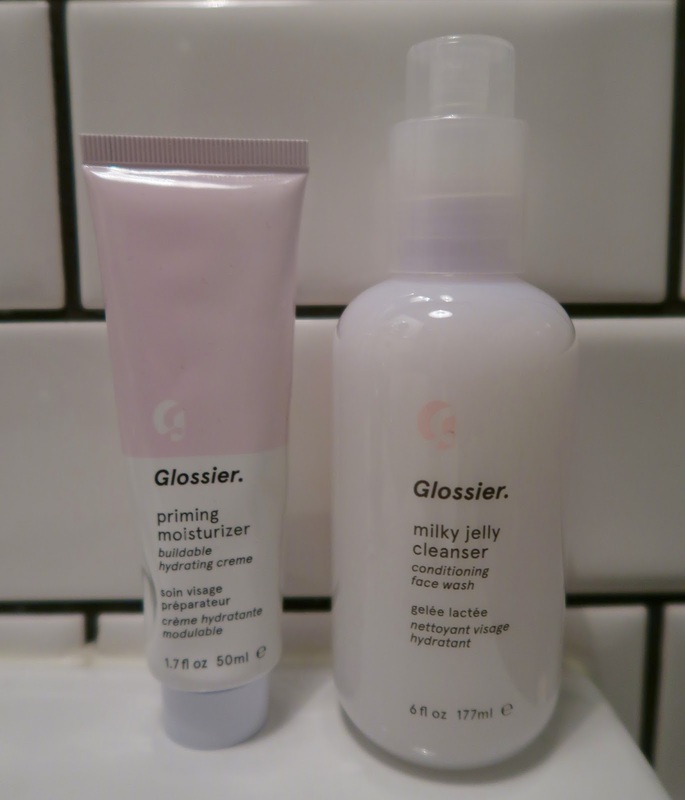 Glossier is the brainchild of the editor of one of my fav beauty blogs, Into The Gloss, Emily Weiss. She has created a beauty brand that has become nothing short of a beauty phenomenon. The New York-based company has had a cult following since it launched a few years ago. However, it’s not been exactly easy to get your hands on their products unless you live in the US. 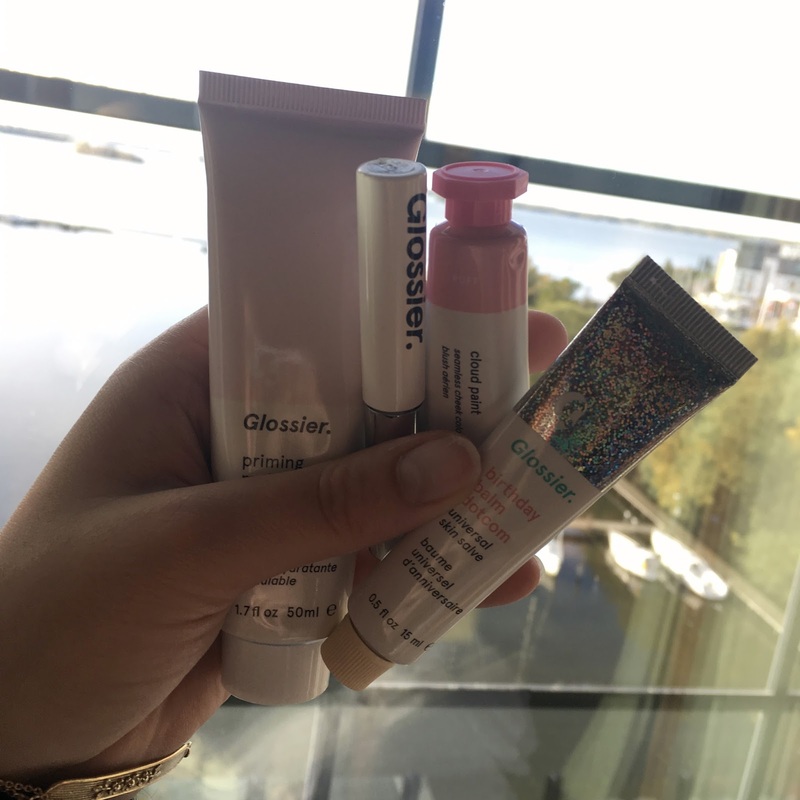 My first experience with Glossier’s products was when I visited their showroom on a trip to New York last year - they opened their showroom to their customers, and it just so happened to be over a weekend I was in the city - result! Aside from that initial visit, I’ve been able to bribe a US-based friend / family member / work colleague to visit their New York showroom, or make a purchase on the website and have it delivered to their US address, for them to bring it over to the UK on their next visit. This may sound complicated, and you may wonder why I’ve gone to these lengths, but it’s been worth it. I've already got through a whole tube of this, and a little goes a long way! My dehydrated skin massively relies on moisturiser. This one is not greasy, or even heavy and leaves my skin glowing and saturated ready for the other products I shove on my face. It's great on it's own or under makeup as it's so lightweight. One of the cult products that everyone raves about, this cleanser is super-gentle, fragrance-free, ultra-comforting make-up remover and face wash. Honestly, I'm not a massive fan of this (I can hear Glossier fans gasping!) but, I've found that my skin doesn't like it one bit. Two masks. One designed to detox, and one to moisturise your skin. 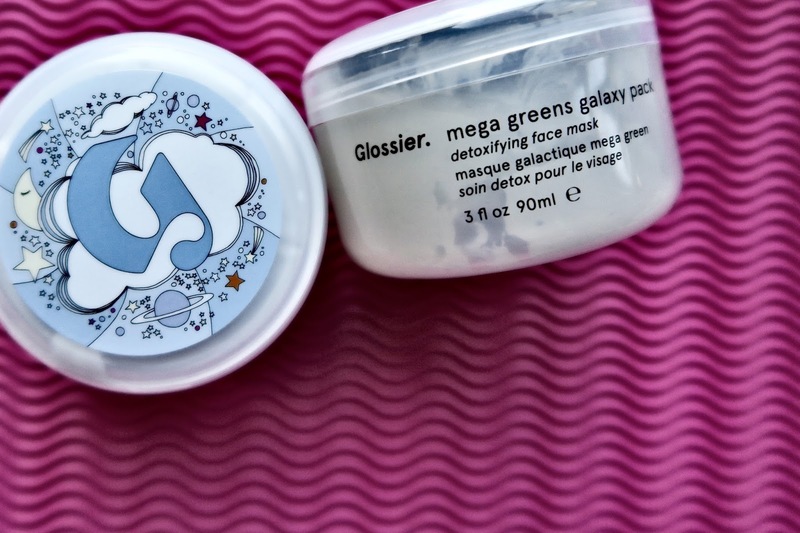 The Mega Greens Galaxy Pack is to draw out any impurities - basically giving your face a good old detox. It does make my uber sensitive skin tingle, but it doesn't sting or leave it red. The Moisturising Moon Mask plumps, soothes and brightens the skin - giving you that amazing 'Glossier glow' and a couple of days after using it, my skin still feels so soft and clean. Both do exactly what they say on their tubs - I use these once a week and I love how they make my skin look and feel for days after. Glossier products are all about dewy luminosity. This product doesn't fall short in doing this. Coming in various flavours, you can use these to gloss your cheekbones and eyelids, or soothe dry lips and skin. The Cherry one has an ever-so-subtle tint - perfect for your lips and cheeks, and my absolute favourite, Birthday adds a little shimmer, and tastes/smells absolutely delicious. Now, I haven't really ever been a fan of highlighter. I've found the ones I've used in the past to be too glittery! This Haloscope Dew Effect Highlighter in moonstone comes in the form of a creamy stick which you twist to use. It gives you a lovely natural glow, that can be built up. I apply it with my fingers, patting it on to my cheekbones, brow bone and Cupid's bow. I also use it on my eyelids instead of eyeshadow when I'm going for the no makeup, makeup look. This is a fairly new addition to my Glossier collection, as I'm usually a powder blush fan. 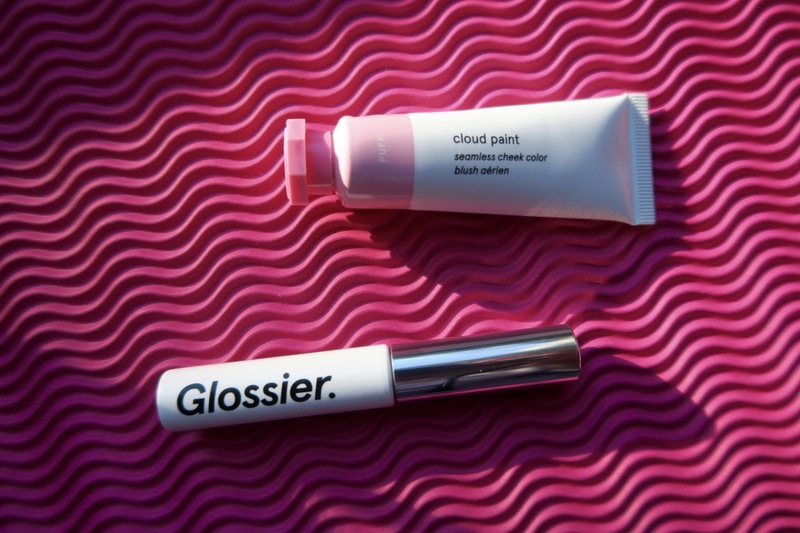 Glossier Cloud Paint is a super light cream blusher that glides on so smoothly, giving you a lovely natural flush of colour on your cheeks. I have the shade Puff, and have purchased another shade (Dusk) as I love the formula and look this product gives you. Plus, the packaging is super cute and is perfect for travelling with. I thought I'd leave the best till last! My favourite Glossier product is Boy Brow. I first picked this up in New York last year, and I get slight heart palpitations if I find myself running low. An absolute makeup bag staple, Boy Brow is the Glossier product I ALWAYS recommend to people who ask what they should pick up when they visit their showroom. The reason why I love this product so much? It won't leave your brows sticky or crunchy, comes in a range of shades to suit all (Clear, Brown, Black and Blonde) and, the wand is perfectly small, giving the perfect application. So, there's my lowdown. I've just purchased a couple of other products, which I will add to this post once I've had a chance to try them out. Also, if you fancy 10% off your first Glossier order, click here - Happy shopping!